In a rundown house in Santa Monica, Mrs. Samuel Lawrence presses fifty crumpled bills into Lew Archer's hand and asks him to find her wandering daughter, Galatea. Described as 'crazy for men' and without discrimination, she was last seen driving off with small-time gangster Joe Tarantine, a hophead hood with a rep for violence. Archer traces the hidden trail from San Francisco slum alleys to the luxury of Palm Springs, traveling through an urban wilderness of drugs and viciousness. 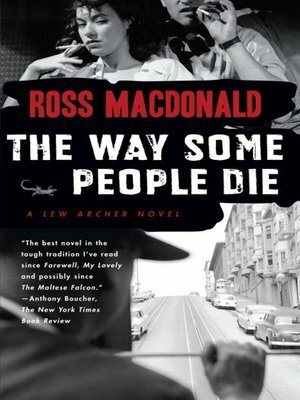 As the bodies begin to pile up, he finds that even angel faces can mask the blackest of hearts.Filled with dope, delinquents and murder, this is classic Macdonald and one of his very best in the Lew Archer series.